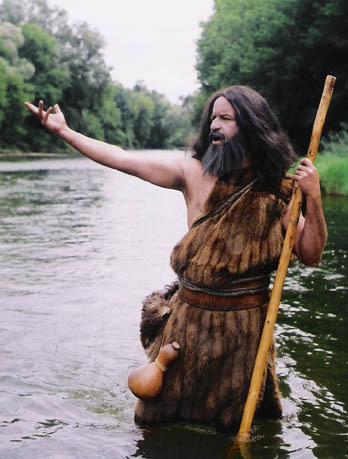 Was John the Baptist really prophetic? Have you ever wondered why Jesus when comparing John the Baptist to the other prophets said: “Truly, I say to you, among those born of women there has arisen no one greater than John the Baptist.” (Matthew 11:11). How was John the Baptist prophetic? He did not provide the pages of scripture with much predictive material like Isaiah, Jeremiah and Ezekiel. John did however call Israel back to YHWH and multitudes came to him to repent and be baptized. But perhaps his biggest prophetic role was to recognize and prepare Israel for both the presence and the mission of the Son of God. Jesus wept over the leadership of Jerusalem at the end of his ministry. They had heard his message and seen the signs and wonders yet had not recognized the “time of visitation” (Luke 19:44). Yet even before Jesus began his public ministry John was boldly declaring his first cousin as the “Lamb of God who takes away the sin of the world!”(John 1:29). In this prophetic declaration, John was the first to recognize Jesus mission to act as the Lamb of God to die as a sacrifice to solve the perennial problem of sin. And not only to take away the sin of Israel, but to take on the original global mandate that the world could come into relationship with its maker. Surely this was the most specific and most glorious of prophecies ever to grace the lips of a created man. He recognized the time of visitation and prepared Israel for someone whom ultimately they would largely reject. May we have a similar spirit of revelation to recognize the times we live in. This entry was posted in Bible Stuff and tagged John 1:29, John the Baptist, Matthew 11:11, Prophetic, Time of Visitation. Bookmark the permalink.